The IMHCN is an International Non Governmental Organisation founded by Mental Health Organisations and individuals who have developed good practices and services in community mental health based on the whole life whole system approach. Its membership consists of professionals, managers, service users and experts of experience, family members, policy makers from many countries. The history of network is that was was started in 1993 as an informal group and then was established in 2004 under French Law as an international NGO by Trieste Health Authority, Italy; Lille EPSM, France; Cornwall Partnership NHS Trust, UK; Stockholm Mental Health Services, Sweden; Asturias Mental Health Services, Spain and Monaghan and Cavan Mental Health Services, Ireland. The IMHCN is now a UK charitable company established in March 2014. IMHCN has 19 founder partners from across the world who have established the newly constituted organisation. IMHCN was established in 1993 by organisations and individuals that wished to develop community mental health services and to close psychiatric institutions. At this time the founder members vision was to seek new ways to improve the lives of people with mental health issues. Twenty years later the vision of our founder members and their significant and important contributions has led to the sustainability and on going development of IMHCN. In March 2014 we relaunched the Network with its current members as a UK based charitable company limited by guarantee. We also took this opportunity to establish new partnerships with interested organisations that will work with us to achieve our aims and objectives as set out in our charter (see link). To campaign for the closure of psychiatric institutions through the development of comprehensive community mental health services. The development of Whole Life - Whole System Community approach by developing Strategies and implementing them through partnership working with local communities harnessing their strengths, resilience and resources. To promote and provide opportunities for people with mental health issues and their families to develop their own recovery plans through self determination, autonomy and a full recognition of their assets. Identify individuals who would be prepared to provide expertise and contribute to our international developmental work. 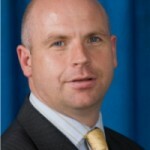 Background: Tom is Chief Executive of Hertfordshire Partnership NHS Foundation Trust and has been in post since April 2009. He previously worked across a number of mental health organisations in the capacity of Director of Nursing, Performance and Strategy. Tom is a qualified mental health nurse and feels this experience enhances his ability to carry out his current role. Tom is committed to improving services for service users and their carers and has embarked on a major transformation programme in the Trust which is designed to provide better experiences, improved access and a higher quality of service for service users in the long term. 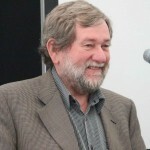 Background: Hywel is a member of the IMHCN Board. He is a poet, a philanthropist and a mental health activist. He is Chair of Hearing Voices Network Cymru and Patron of Intervoice the international hearing voices organisation. Educated in Milford Haven in Pembrokeshire and at Stonehouse in Gloucestershire, he is a Combined Honours Graduate of French and Spanish from Birmingham University. He possess a Postgraduate Certificate in Education from Aberystwyth University. A retired teacher and lecturer of Spanish, he was labelled by psychiatry as a "schizophrenic" in 1983. Background: Psychiatric nurse manager, trainer, consultant, writer, publisher. Jørns entire working career has been centred on psychiatry in areas such as social psychiatry, district psychiatry, psychotherapy, alcoholism and adolescent psychiatry. 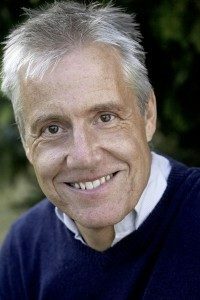 Jørn was the first Dane to be invited to join International Mental Health Collaborating Network (Whole Life – Whole System) and he is now a member of the international advisory board. This network consists of people and organizations who have specific skills in relation to work on recovery processes. Jørn has for many years been a sought after speaker and an active community debater home and abroad in relation to the circumstances of mental health issues. 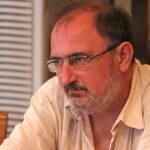 In addition he works as a consultant for institutions wishing to work diligently with recovery processes. Background: Margaret Fleming RPN, FFNRCSI, MSc has worked in mental health services in Ireland for the past 31 years. She is a Fellow of the Faculty of Nursing, Royal College of Surgeons of Ireland and holds an MSc in Health and Social Services Management from the University of Ulster, Northern Ireland. At present she is working as Clinical Co-ordinator with Monaghan Community Mental Health Team, which is a multidisciplinary team providing mental health services to a rural population in County Monaghan. Margaret and her team work in close collaboration with Primary Care Services and voluntary and statutory agencies. She has been at the forefront of designing, planning and restructuring this new service model now known both nationally and internationally as The Monaghan Model. She has been actively involved in establishing a resource centre, which is service user driven and also in the development of a mental health promotion programme for young adults. This programme has been accredited by Mental Health Europe as best practice in mental health promotion for young adults. Margaret is the Irish project leader with the "Whole Life Project" which is a joint project between the National Institute for Mental Health in England (NIMHE) and the World Health Organisation (WHO) Collaborating Network. She is also currently working as a consultant with the World Health Organisation involved in the restructuring of mental health services in Albania. Background:Dr Peter McGeorge QSO, MB ChB, FRANZCP is the Director of the Inner City Health Service at St Vincent’s Hospital, Sydney. He is a child, adolescent and general psychiatrist and has extensive experience in the development and delivery of mental health services in New Zealand, Australia and internationally. 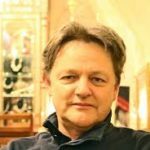 He has held positions as Director of Mental Health Services in Auckland and Wellington NZ and has been involved in the governance of several NGOs. He been chair of the NZ Mental Health Foundation and is now the Patron of this organisation. Together with a group of prominent psychiatrists and psychologists he led the development of the Youth Horizons Trust in NZ an NGO established to address the needs of young people with Conduct Disorders. 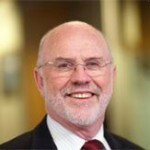 More recently he chaired the Steering Group reviewing the Australian National Mental Health Standard and on leave from his role at St Vincent’s Hospital spent a term as Chair of the NZ Mental Health Commission. Interests: His interests encompass international mental health policy, the development of systems of integrated health and social care for vulnerable people living in urban environments, emergency psychiatry and the mental health of young people and their families. Interests: International partnerships, community mental health, personal development. 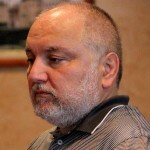 Background: Roberto is the Director of Mental Health, Trieste psychiatrist, contributed for the last 30 years to the experience begun by Franco Basaglia in Trieste (who inspired the Italian Mental Health Reform Law in 1978), with the de-institutionalization of the local psychiatric hospital and the subsequent development of alternative Community Services. 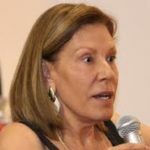 Background: Rossana is a researcher and professor at the State University of São Paulo in the area of Mental Health. Post doctor in deinstitutionalization, realized in Trieste-Italy. Several articles published example: Alternatives and possibilities in the context of deinstitutionalization: a study on the establishment of residential treatment for young adults with psychiatric and neurological disorders. 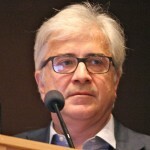 European Psychiatry 2012. 27.1. Training: Psychologist. Background: Since 2003, Rob has been employed as the CEO of WALSH Trust; an NGO (nongovernment organisation) providing a range of mental health support services in Auckland, New Zealand. He is Trustee of Platform Trust, a member of the NGO-Ministry of Health Working Group, and the NZ Mental Health Commission Reference Group. Rob began his mental health career in 1993. He holds tertiary qualifications in psychology and education and completed a Post Graduate Diploma in Management and Administration in 2001. In 2011 he completed a High Performance Leadership programme at Oxford University, United Kingdom. 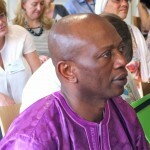 Background: Community development worker, co-founder Hearing Voices Network England. Paul Baker is a community development and group worker. He has a Post-graduate Diploma in Community Education, specialising in working with young people and people with mental health problems. Paul has worked in the health care and education sectors for the last 30 years. He had the responsibility for developing innovative mental health care services in the community. These include services run by the people who use them, self-advocacy services, supported housing services, social firms and enterprises as well as the development of forums for people to enable them to have a direct input in the development and running of services. 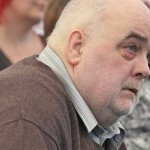 For fifteen years Paul was the chairperson of a large housing association for homeless people in Manchester. 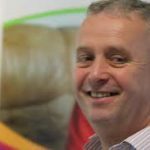 Paul was one of the founding members of the Hearing Voices Network in England and is currently the coordinator of INTERVOICE, the influential coordinating body for the international hearing voices movement. He also specialises in assisting organisations in harnessing and developing online communities to complement and support their work. Most recently Paul has worked with the Mental Health Foundation, Working to Recovery, Radish Online Ltd, the Scottish Hearing Voices Network. He has a special interest in working with groups of people to find ways of help themselves overcome difficulties and problems. He also has a strong commitment to forging international partnerships in the development of progressive and effective mental health services. Paul has published books and written chapters and articles for many publications on mental health issues. He provides consultancy services, lectures and trains on empowerment and recovery issues and the relationships these have to effective mental health service delivery. Interests: Hearing voices e.g. setting up and running hearing voices groups; community development and mental health. Background: Roberta is a psychologist by training. 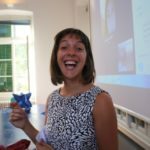 Most recently she has been involved in the planning, development and running of innovatory whole life vrecovery projects in Faenza and Trieste Italy since 2013. She was the coordinator of the pilot "Recovery House" in Faenza providing a challenging opportunity for twelve people with mental health issues and long term relationships with psychiatric services and their families to commence their recovery journeys by participating in a twelve week residential programme. The project was hosted by Working To Recovery Ltd in collaboration with the local Family Association and with the support of the Regional Mental Health Service. In 2015 she embarked on a new ongoing Recovery Learning community and Recovery House with the Mental Health Department in Trieste, service users, family members and participating cooperatives. This project is ongoing. Roberta is a very effective manager who undertakes her responsibilities with dedication and commitment. She shows great empathy and understanding and forms trusting relationships and rapport with the people living in the house, their families and staff. Roberta is an effective manager and administrator ensuring the good running of the house as well as the flexibility to respond to changing circumstances and needs. Her optimism, belief in peoples ability to recover and heal, alongside her positivity and creativity contributed greatly to the atmosphere of mutual support, the sense of shared responsibility and fun that characterises the projects she has been involved in. Background: John has worked in community mental health development for 50 years as a clinician,manager,policy maker, educator and consultant. He qualified in South Wales in the 1960’s and 1970‘s as an RMN, SRN, Diploma in Health Studies,MBA and worked at the Cassel Hospital, London gaining a Diploma in Psychotherapy. In 1976-1989 he was the General Manager of Devon Health Authority, developing the first comprehensive mental health service in the UK resulting in the closure of 3 psychiatric institutions. He then became a senior policy adviser in the Department of Health reviewing previous mental health policies and formulating new policies, strategies and initiatives. In 1992 he established and directed the Center for Mental Health Services Development at Kings College, London.This was established by the DoH to assist in the implementation of national mental health policy across England. He was the Director of Operations and Service Development at North Birmingham Mental Health Trust that pioneered the mental health community functional teams that later became national policy and implemented throughout England. Together with colleagues across the world he established the International Mental Health Collaborating Network(IMHCN) in 1993, an International NGO and is the current Chief Executive. He has been a mental health adviser to Ministries of Health and Health Authorities in: Australia, New Zealand, India, Malaysia, Serbia, Romania, France, Italy, Ireland, Argentina. 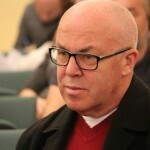 He has been a senior consultant for WHO in Kosova,Albania and Macedonia and for 6 years was the Mental Health Program Manager for WHO in Palestine. He has been a Senior Lecturer on Mental Health policy and reform at Brunel University and Kings College in London and in others around the world over the last 30 years. He provides consultancy and training on Whole Person, Whole Life-Whole Systems Community Development in the UK and other countries. Interests: Introducing and cementing Whole Life Recovery practice within services, practice and policy. The good practice and experiences of the IMHCN came from deinstitutionalisation processes and practicalities, that is not only downsizing or even closing psychiatric hospitals, but undertaking a complex process of removing the ideology and power of the institution by putting the person first - with his/her subjectivity, needs, life story, significant relationships, social networks, social capital - above the institution. In order to do that, it is necessary to remove the power of institutions over people with mental health problems. This requires a shift of resources from hospitals to a range of community based services founded on the whole life needs of the person. This approach opens pathways of care and programmes that integrate social and health responses and actions. Deinstitutionalisation is therefore a whole change of systems, thinking and practice, that aims at overcoming the old psychiatric ideology while creating a new way of supporting community mental health and taking better care of people with mental health problems. Further reading on this can be found in our Foundation Document. The purpose of the Collaborating Network is to bring together places, services and practices that have been successful in developing good quality community mental health, with those that are in the process of implementing change. With the support of a continuous learning collaboration, organisations and individuals can benefit from others' experiences. Our vision is a world which respects and values the differences between individuals, enabling people who experience mental health issues, with appropriate supports, to lead fulfilling and productive lives using their strengths to contribute as full citizens and enrich our societies. The mission of the IMHCN is promote and advocate for the human rights of people with mental health issues; to understand and gather the experiences and knowledge of good practice in community mental health from its membership and to disseminate this rich resource throughout the world. The development and sustainability of community mental health services founded on the whole person, whole life needs and developing a community system, integrated with widespread ownership and capable of meeting the identified needs of individuals and the community. Deinstitutionalisation, by closing the psychiatric hospital, as well as changing the common psychiatric practice of only responding to the "illness" and instead focussing on the whole person needs. The aim of the Collaborating Network is to assist places, services and practices that wish to change and develop. We collaborate with the World Health Organisation (WHO); the World Association for Psychosocial Rehabilitation (WAPR); The International Network for Training Education, Research into Hearing Voices (INTERVOICE); and with our partner organisations, national ministries, and non-governmental organisations. The Network will achieve its aims through interconnected activities that facilitate shared learning, service development and innovation promoting whole life recovery practices. This is being achieved by holding conferences and symposiums; international schools, training workshops and learning sets; study visits; work placements; and twinning with organisations with similar values, principles and experiences. We have an internet based forum on LinkedIn and a website. Conferences and workshops in Whole Life Whole System Approach, Recovery into Practice, Community Mental Health Development. The IMHCN holds an annual think tank conference and organises symposiums, learning sets and workshops in partnership with member organizations around the world. Strategic and Practice Development The IMHCN provides a range of tailored services and products including training and consultancy designed to assist communities, organisations and individuals to transform the thinking and culture of psychiatric services with a focus on the whole life needs of people. International Twinning Collaboration Agreements between Mental Health Organizations These are formal agreements to work together and exchange staff in small groups on specific developments learning from good practice and a recovery based approach. Twenty years ago a number of individuals and organisations developed an informal network to share experiences about the development of community mental health and the closure or running down of psychiatric institutions. They came together because they shared a common view of philosophy, the need to share good practice and as well the frustrations and problems they accounted. They supported each other in a time of early policy formulation and implementation. Conferences and workshops were held in different places in the world that identified many centers of innovative and creative work in community mental health services and practice. In 2004 it was decided to develop the informal network into an International NGO and thus the IMHCN was formed. The founder members who constituted the first executive board can be found here. The IMHCN devised and published a Foundation Document that set out its purpose, mission, values and principles. The Foundation Document can be downloaded here. On Friday, 21st March 2014 IMHCN held its inaugural meeting as a reconstituted UK Charitable company. The IMHCN members in attendance approved the new constitution of the Network. Fourteen Trustees were elected as members of the board, you can see their details here. Roberto Mezzina will be our new chairman, Mike Smith, Vice Chairman and our Honorary President is Franco Rotelli. John Jenkins is the new Chief Executive, Paul Baker is the secretary and John Stacey the treasurer. Go to IMHCN Board minutes 21 March 2014 to read the minutes of the meeting.